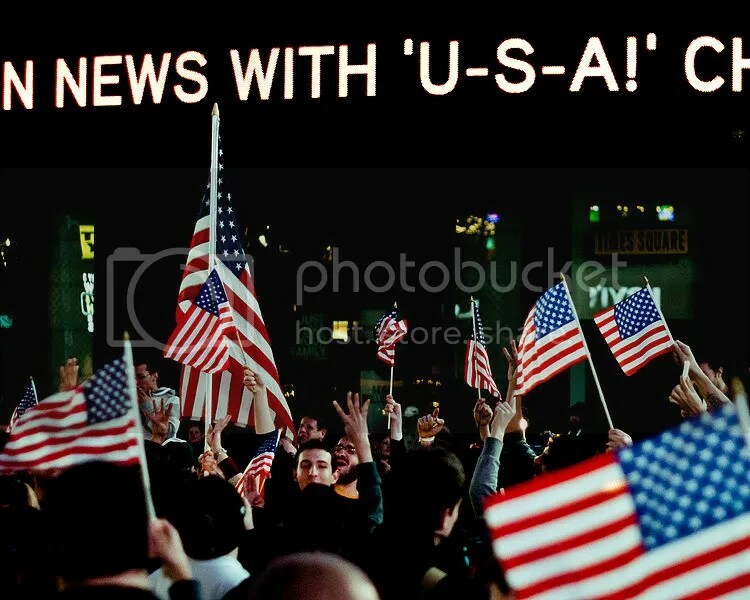 Americans celebrating the death of Osama bin Laden. Photo by Josh Pesavento. I’m sorry, but these two events just aren’t comparable. Inmates on Death Row are contained and controlled, and if not executed the overwhelming majority spend the rest of their lives in prison. These prisoners aren’t a threat to society, and their executions is nothing more than an explicit an act of state-approved public vengeance. On the other hand, “pumping bullets into Osama bin Laden’s skull” removed a direct threat to American society. This isn’t debatable — while the operational capabilities of al Qaeda have drastically shrunk since 2001 and the allure of radical Islam has declined, Osama bin Laden remained the head of a violent international organization with extensive experience killing American civilians. There are many reasons to argue that capturing bin Laden alive was not a feasible option — the SEALs’ uncertain exit from Pakistan, for example, and how easy it would have been for al Qaeda affiliates demanding bin Laden’s release to begin executing US citizens abroad — meaning that killing him was the only practical way to remove this threat. Killing bin Laden was partially an act of vengeance, and was certainly perceived as such. However, it also was a very practical measure necessary perceived by US policymakers and the public as increasing American security. Of course, this may not be the case — it’s entirely possible that popular anger stirred in Pakistan by repeated and obvious US violations of Pakistani sovereignty have empowered violent rhetoric and decreased US security. However, this calculus isn’t a part of American popular thought (though it should be). In the minds of nearly all Americans, killing bin Laden made them and their families safer, and signaled the dramatic end of a long and difficult war. Speaking from the perspective of a 22 year old, if 9/11 was my generation’s Pearl Harbor the death of bin Laden was the closest we’re going to come to V-J day. Of course, this is a non sequitur — nearly all of the War on Terror was at best irrelevant to combating Islamic extremist violence, and at worst criminally wasteful and counterproductive. However, perceptions do matter, despite their validity. Killing bin Laden was perceived as a shared cathartic closure marking the end of a very traumatic episode of US history, and unlike last night’s revelatory embrace of America’s cult of vengeance, I’m not prepared to condone it. damn dude, you are good at writing. Have you considered becoming a journalist?